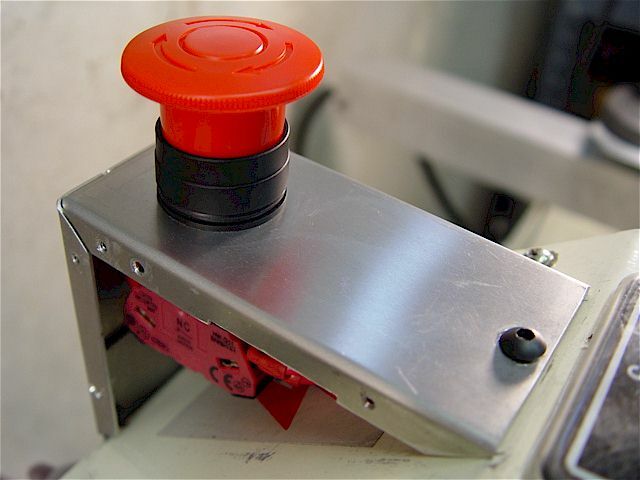 An emergency stop button for the BD-920N Jet lathe. The housing was cut at 38 deg from an aluminum enclosure. 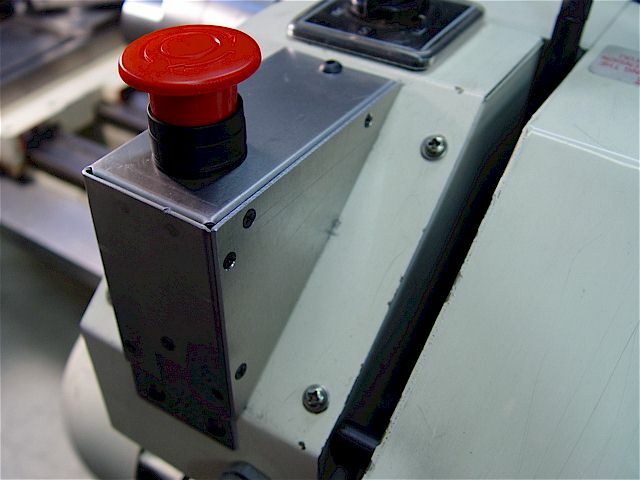 The two red switch wires pass through an insulating rubber grommet. Though over-rated, the two switches (STDP) were wired in parallel for redundancy & less current per contact. steel switch cover using two, 10-32 bolts screwed into tapped holes. Red E-stop, ON/OFF (Inhibit), variable speed potentiometer, & CCW/CW spindle rotation direction. 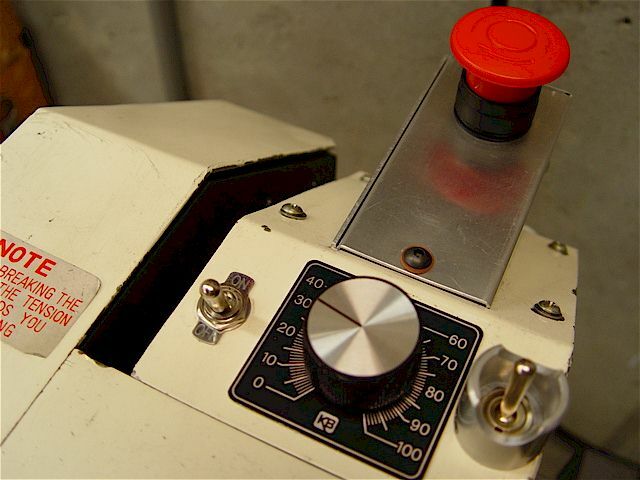 The E-stop cuts the 110VAC to the entire lathe but the spindle ON/OFF circuit utilizes dynamic braking. This is a good E-stop location for me as this is where I rest my left hand to manipulate the controls. 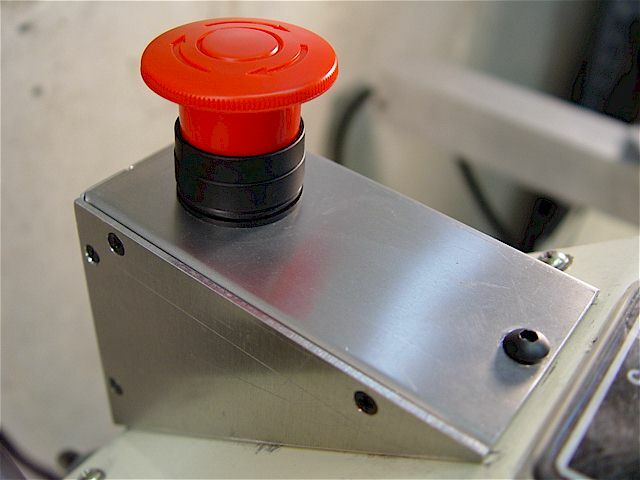 to extend an arm & swat a button down than to retract & push inward. These are personal preferences. 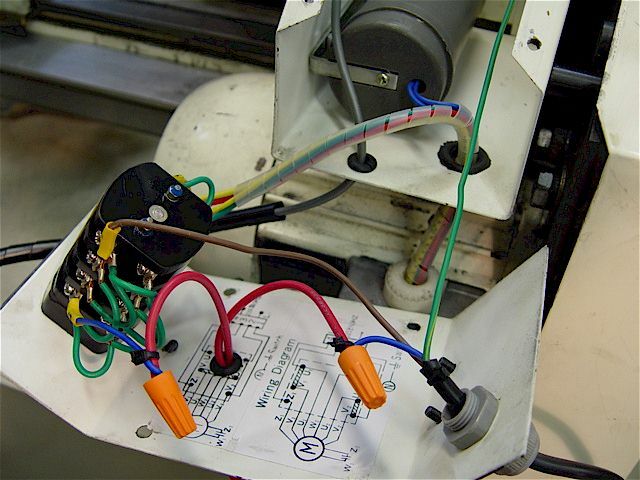 Also see the E-stop for the Taig CNC mill & the variable speed DC spindle motor modifications.